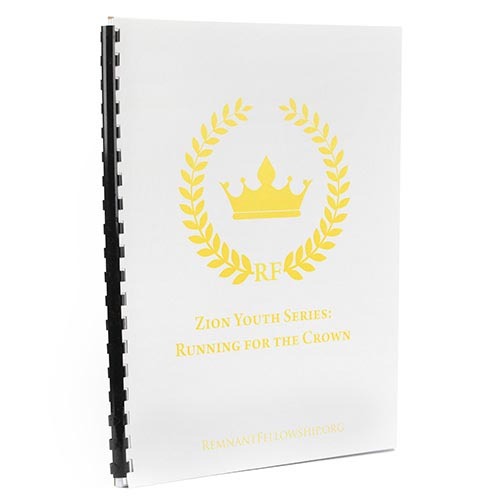 Zion Youth: Running for The Crown Collection Workbook - the perfect companion to the video series "Running for the Crown." Running for the Crown is a collection of 6 powerful and clear Biblical teaching by Gwen Shamblin that will inspire your school-aged children to find God in everything. Videos available on DVD and on Weigh Down All Access. Order extra workbooks for multiple children in the same household!